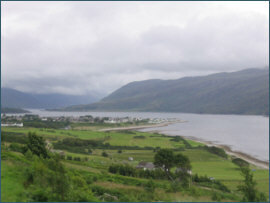 Ullapool, lying on loch Broom at the mouth of the Ullapool River, is one the the main fishing ports and tourist centres of Wester Ross and makes an ideal centre for the trout fisherman, with many small lochs to be explored in the hills to the north, west and south. 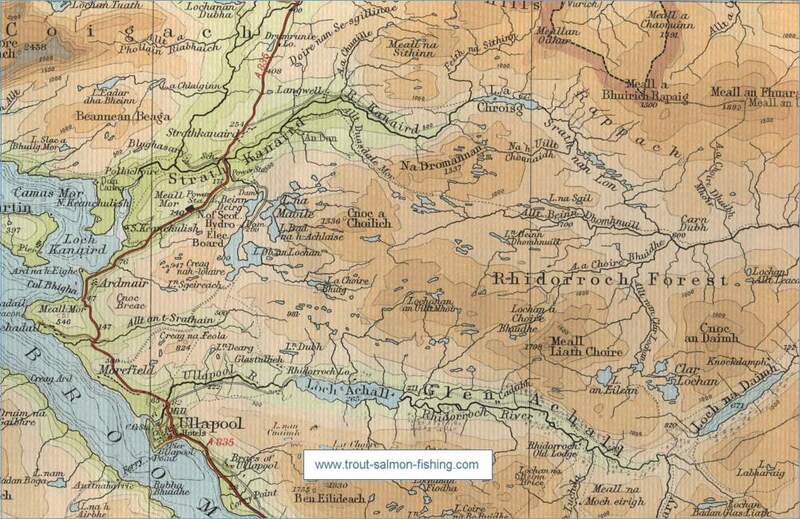 Loch Achall, lying one mile inland of Ullapool, has boat and bank fishing, with fly only. 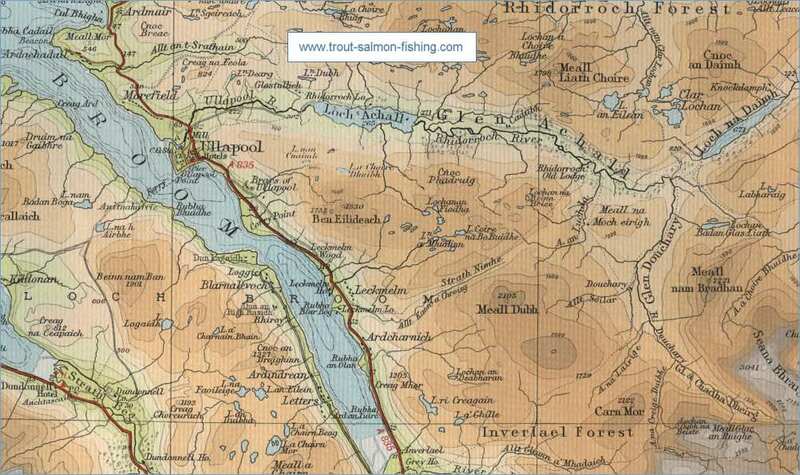 The loch is accessed by the Rhidorroch road. 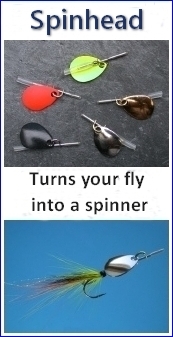 Fish tend to be small but good baskets can be taken. 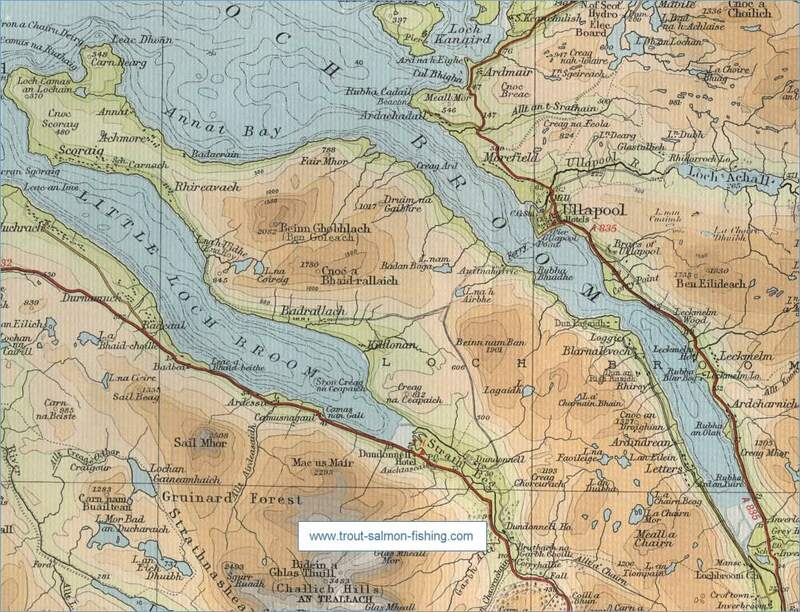 Thee boats are available, with a maximum of three persons per boat. 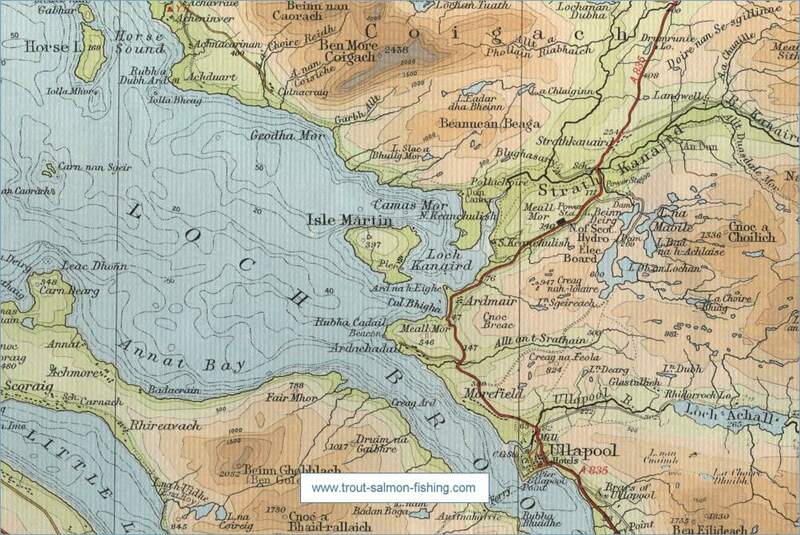 Bank fishing is £6 per day. 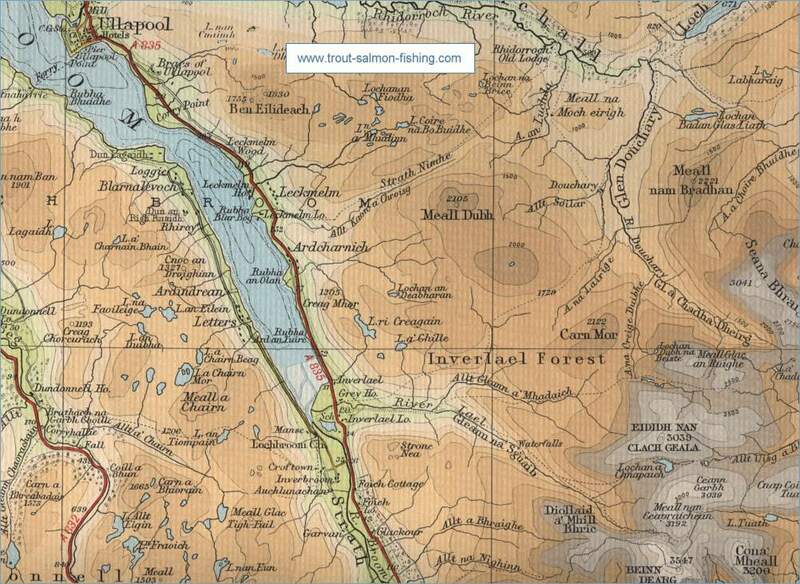 Permits from Lochbroom hardware, tel: 01854 612356, who also issue permits for the Dam Lochs, also known as the Strath Kannaird hill lochs, lie six miles north of Ullapool and a re managed by the Ullapool Angling Club. 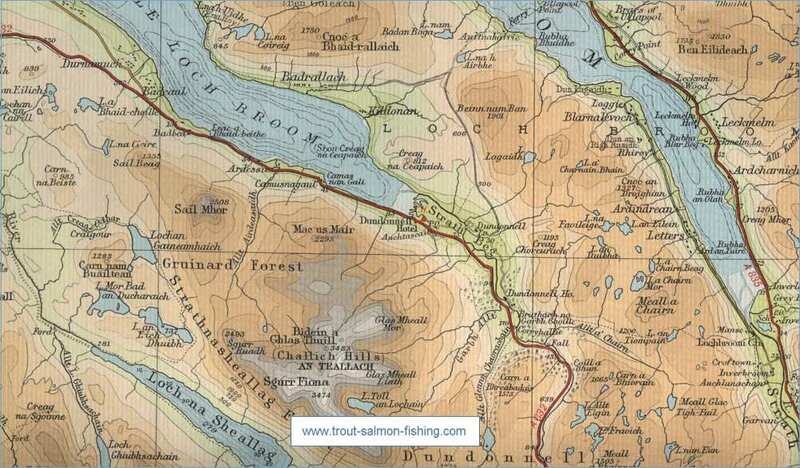 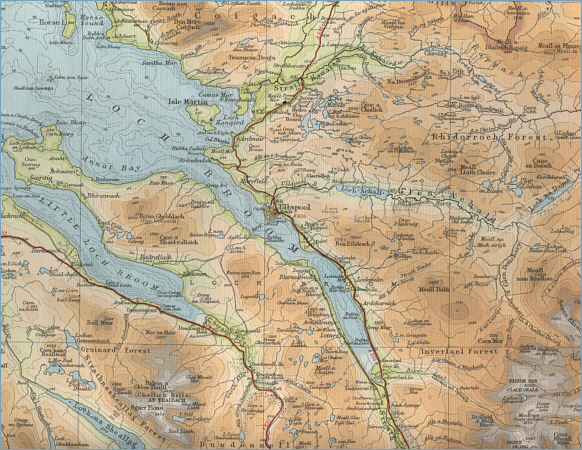 Loch Dubh, Loch Dearg and Loch na Maoile have brown trout, with the latter also having a stock of Arctic char. 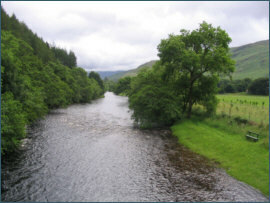 Boats are reserved for local angling club members.